After spending most of the last decade pogoing in and out of punk-funk/disco-punk circles, !!! 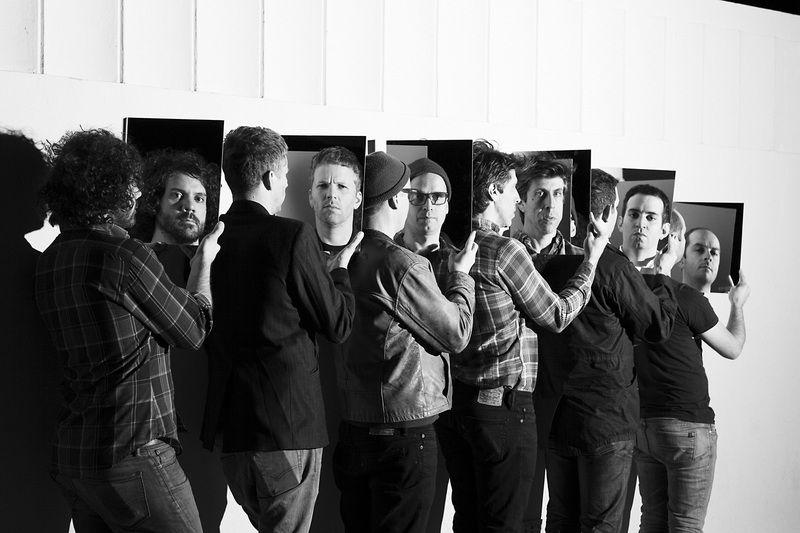 (Chk Chk Chk) may have taken the edge off with their fifth album. The California crew’s raucous early records took the Walk This Way video template — conjuring up images of jackboots kicking through CBGB’s and gatecrashing into Studio 54 on the other side of the wall. Their 2010 album Strange Weather, Isn’t It? papered over some ragged edges, but Thr!! !er flattens most of their remaining punk ties with a glitterball swinging from the end of a crane. In property developer lingo, it’s all in the name of progress, and !! !’s mongrel sound has been streamlined on Thr!!!er. Apparently producer Jon Eno (Spoon) advised against trying to bottle the spontaneous firecracker energy of their live shows, and they hit the studio with a bunch of songs already in the bag. The skuzzy Louden Up Now-era 10-minute jams have been shelved in favour of tightened coils ready to spring off in hook-filled disco, funk and house directions. The Jacko-referencing Thr!! !er could even grab some commercial success, if only !!! hadn’t already committed Google search suicide with their name. Where !!! once veered off on tangents, tracks on Thr!! !er often hit the bullseye on the first kickdrum and handclap and stick to the path. Careful keeps its Metro Area-style digital disco pulse beating over five minutes, and Get That Rhythm Right nails it with a one-note deep house piano groove and a sax solo that’s just about on the right side of preposterous. The sax also rears its head on Fine Fine Fine, with Nic Offer’s new romantic baritone and slap bass throwing up an image of the the six members swinging headless guitars in tandem. Diehards needn’t worry about a complete U-turn, as the band’s magpie traits shine on album standout Slyd, a series of disparate grooves, hooks and vocal ‘samples’ they wrote then stitched together in a higgledy-piggledy house collage, a bass-rooted sleaze-off that channels ‘Another One Bites the Dust’ and the preppy chant of the Tom Tom Club’s Wordy Rappinghood. They retain some of their Stooges swagger on Station (Meet Me at the), with its lo-fi tremolo riffs and Offer’s snotty delivery, and Californiyeah is a live encore waiting to happen, made for Offer shaking his sweaty pits in the front row, pulling dance moves out of the air. An apolitical tongue-in-cheek party album will always come off as a bit slight in places, and Thr!! !er has the odd f!! !er here and there. One Boy/ One Girl grates a bit, with its sub-Chic high fret guitar licks, and Offer’s impotent Prince falsetto on Except Death is a buzz kill. Still, these bum notes are never too far from the next handclap or warm synth break, and we’re back on the dancefloor in no time. !!! won’t ever change the world, but they’ll always add a few exclamation marks to your night out.